This Masterclass article series aimes to provide in-depth technical information on the installation, usage and operation of the classic and supremely popular tcpdump network traffic analysis program including alternatives, running tcpdump as a process, building expressions, understanding output and more. I’ve covered the Basics previously, will cover Parameters here, then filter Expressions and finally Interpreting Output. If you specify the name of an existing file it will be overwritten without warning! tcpdump will display the entire contents of the file, without pause, so you may want to use the more or less commands to control and ‘browse’ the output in an orderly way. -vv will display additional protocol and application specific fields. -vvv will display even more protocol and application specific fields. -x will display packet contents in Hex. 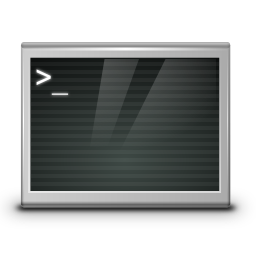 -X will display packet contents in both Hex and ASCII. 0x0000 4500 0028 0000 4000 4001 4902 c0a8 3809 E..(..@.@.I...8. 0x0020 c0a8 3828 7078 2b09 ..8(px+. Note: This option is not necessary if you are writing the capture to a file, this option only applies when using tcpdump to display packets in real time or from a capture file. Capturing Packet Contents – How Much? Note: Use -s 0 to capture the entirety of every packet, regardless of size. tcpdump will not translate host addresses to host names, thus disabling DNS lookups. Not using this option could potentially result in a huge amount of DNS requests and create unnecessary load on DNS servers. tcpdump will not translate port and protocol to service names, (port 80 to http for example,) as well as not translate host addresses to host names. For more information, see this article by James Nelson; thanks James.